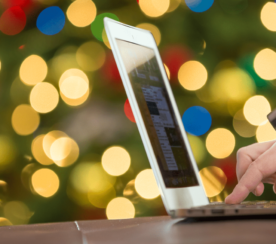 This was an extraordinary year for PPC professionals that ushered in many changes. And you could argue that not all of these changes in 2017 were completely positive across the board. For example, Google continued to nudge digital advertisers toward top-funnel channels (e.g., Google Display Network and YouTube) by strongly promoting the AdWords attribution system throughout the year to not-so-subtly emphasize top-of-funnel over your traditionally performance-based last-click model. It also abruptly raised the cap on AdWords daily budgets, prompting more than a little consternation from digital marketers. The company also moved Product Listing Ads for Google Shopping to GDN in order to drive even more traffic to PLAs for retailers selling online. 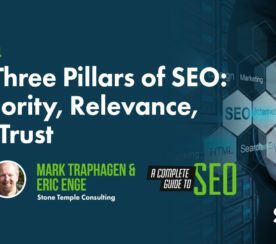 But what do these changes from Google, as well as from other major players such as Amazon, Bing, and Yahoo mean for your future? 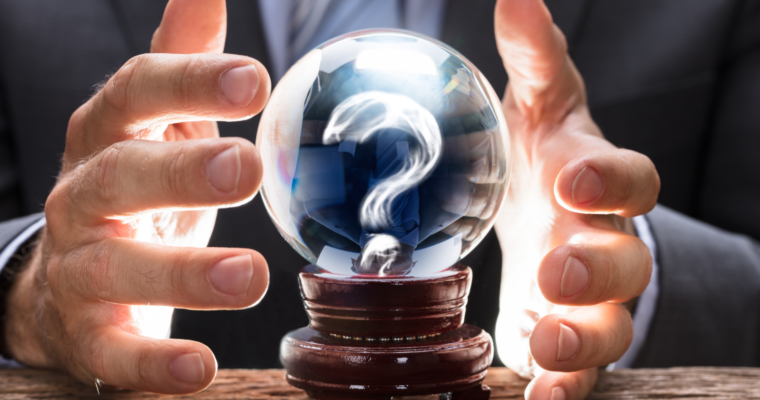 Here are three things that I predict will affect PPC marketing in 2018. Pop quiz: Who’s the largest online retailer in the world, with 2017 online sales that eclipse those of the next 49 online retailers combined? Yes, you guessed it. Amazon. Opened 13 physical bookstores with plans to open at least three more. Bought grocery giant Whole Foods. And Amazon isn’t the only company looking to go to physical storefronts. Eyeglass retailer Warby Parker, formerly an online-only operation, has opened more than 30 stores with plans to open even more, while apparel company Athleta, another formerly online-only store, now has 140 physical storefronts. Even online printing giant VistaPrint is getting into brick-and-mortar. Why are these retailers adding brick-and-mortar to their portfolio? For starters, there’s the valuable ability to leverage physical storefronts as product return centers, avoiding the non-trivial cost of return shipping (non-digital purchases, for which color, size, and fit are important, are estimated to be returned up to 45 percent of the time). But, more importantly, the customer journey is changing, and heavily favoring local businesses as the final step in the journey. Stop me if you’ve heard this one before: mobile is very important now. Why? Mobile usage now exceeds desktop usage. 3 out of 4 smartphone owners use search first to address their immediate needs. 75 percent of mobile shoppers performing a “near me” search visit a storefront in 24 hours. 28 percent of those “near me” searchers go on to make a purchase. In 2018, mobile and local will be hugely important to businesses that provide any kind of direct-sales product or in-person service offering. So my first 2018 PPC prediction is that online-to-offline is only going to become more prominent and more urgently needed for businesses of all stripes. The biggest online retailer in the world knows it, Warby Parker knows it, Athleta knows it, VistaPrint knows it, and now you know it. Data isn’t going away in PPC marketing. You know this. You manage thousands, if not millions of individual keywords. You manage them for any number of designated market areas, across different time frames and seasonal periods, and across different devices. Managing each individual keyword in your portfolio of thousands (or millions) is already too big of a job to handle manually. Managing them across all these dimensions and channels means an even more preposterous amount of data. We’re talking about the kind of quantities that cause Excel to crash. From a macro level, data production is predicted to increase 4,300 percent by 2020 – and mismanaged data will cost $3.3 trillion by 2020. Yet marketing budgets have been increasing year-over-year, particularly for digital. In plain English, this means that marketers are spending more, but not seeing ROI. So, my second PPC prediction is this: 2018 must be the year of data-driven, full-funnel insights. CMOs are going to be more metrics-focused and will look for ROI from their teams. This means digital marketing professionals will need to be more metrics-focused and look for ROI from their funnel, especially to figure out which segments are working and which aren’t. Those insights will come directly from the data produced for each channel and each device. PPC professionals need to make 2018 the year they get a handle on their data. Every day, you work to craft and optimize ideal messaging for your digital ads to ensure your messaging hits home, while diligently setting up targeting/retargeting tools to ensure your message gets to the right person. But what happens when your ads end up never being seen? This is already happening now. As you may have heard, 11 percent of all global internet users already use an ad blocker. And you also know that in 2018, Google will place an innate ad blocker in Chrome, the most popular web browser on the planet. In the meantime, because of the new AdWords budget cap, PPC professionals will need to be more strategic than ever with their budgets or risk having their spend get blown out of the water by unexpectedly spiky traffic. This potentially means less wiggle room to experiment, especially with highly relevant long-tail keywords. You know that long-tail keyword queries typically come from highly relevant prospects with significantly higher purchase intent than searchers running generic queries. However, long-tail terms are also data-poor compared to head terms and, as a result, are notoriously difficult to bid on efficiently. This may be even more of a challenge with the newly-raised budget cap, and may further discourage some advertisers from even bothering with long-tail. On the other hand, advertisers who have the ability to use emerging disciplines such as data science, and emerging technology such as machine learning, to accurately forecast ideal bids for long-tail keywords and efficiently pull in the majority of clicks for these highly relevant queries will pull even further ahead of those who don’t. That’s why my third and final PPC prediction for 2018 is about the importance of relevance. Driving profits is always important, but it isn’t easy to do when you aren’t even showing up. That’s why relevance may very well become the new profit margin. PPC in 2017 was eventful. And, as you can see from my 2018 PPC predictions, the new year will offer new challenges. 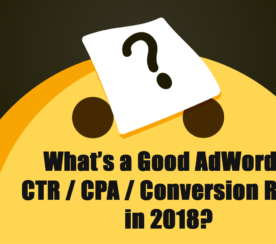 However, with proper planning and the right solutions in place, smart PPC professionals can position themselves for an extremely successful year. Happy holidays and best of luck to you in 2018!